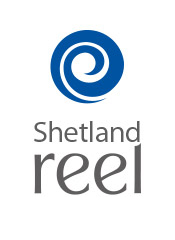 It took a while but as of today the Shetland Islands are a part of the whisky distilling islands.The Shetland Distillery Company, that already produced the Shetland Reel gin, will start selling whisky as from September 1. The spirit has been distilled in Aberdeenshire and matured at the distillery site on Unst. The whisky seems to be six years old and matured on virgin oak casks from Germany. Bottled at 57.5% ABV. Prics will be around £100. Stuart Nickerson, director of the Shetland Distillery Company and ex-Glenglassaugh reviver, said: “This a hugely exciting development for us and for Scotch whisky. “It literally puts Shetland on the map as far as whisky production is concerned – and for the first time. Update: All the bottles have been pre-sold.